(CNN)A 64-year-old Florida man tried to set a convenience store on fire because he thought the owners were Muslim, St. Lucie County Sheriff Ken Mascara said. 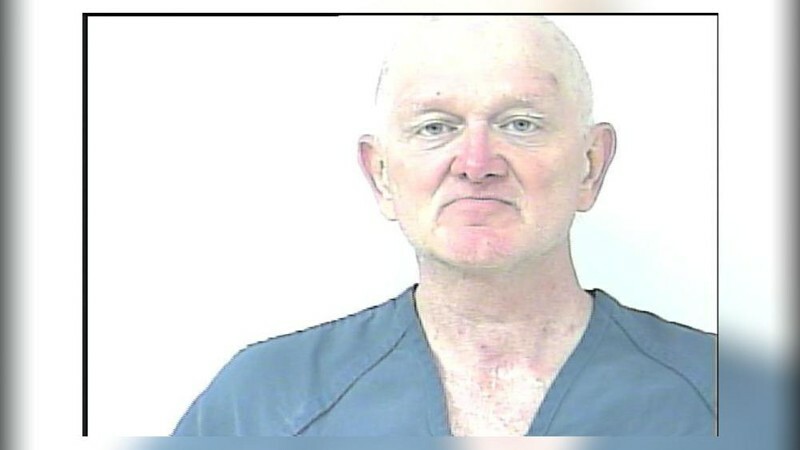 Richard Lloyd told deputies he wanted to "run the Arabs out of our country" so he pushed a dumpster in front of the Port St. Lucie store and set the contents on fire, Mascara said in a news release posted on Facebook. Lloyd told detectives he assumed the owner was Muslim and that angered him because of "what they are doing in the Middle East," Mascara said. "It's unfortunate that Mr. Lloyd made the assumption that the store owners were Arabic when, in fact, they are of Indian descent," Mascara said. The sheriff said Lloyd's mental health will be evaluated and the state attorney's office will decide if this was a hate crime. The fire at the Met Mart in Port St. Lucie was quickly put out Friday morning and did not cause much damage, Mascara said. The store was closed and protected by security shutters. According to CNN affiliate WPEC, Lloyd told investigators he tried to buy a bottle of Tropicana orange pineapple juice at the store a few days ago but was told they didn't have any. He was also upset because he assumed the store employee was Muslim, WPEC said, citing the investigative report. Lloyd told investigators he planned to burn the building because he "was doing his part for America," WPEC said. When deputies arrived Friday morning and found the fire, a man in front of the store put his hands behind his back and told officers to "take me away," Mascara said. Lloyd was charged with first-degree arson and booked into the St. Lucie County Jail in lieu of a $30,000 bond.